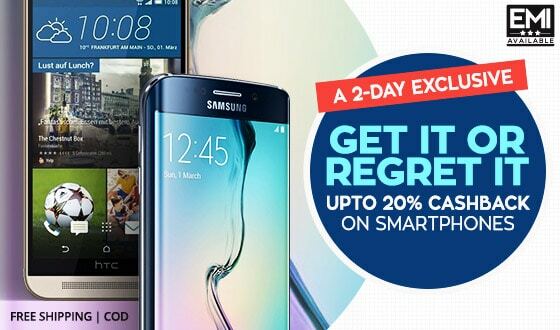 Both Samsung and LG launched their latest flagship smartphones at MWC on 21st. We now put Samsung’s Galaxy S7 up against LG’s G5 to see what features the two devices offer and how they compare. Samsung was all about design when it launched the Galaxy S6 at MWC 2015, they switched to a metal and glass body. This time keeping it simple they held on to the same design language. 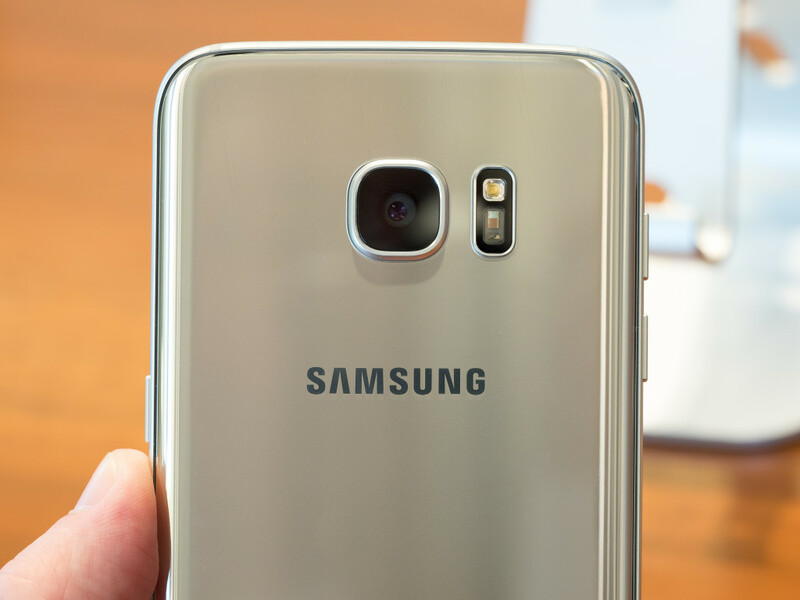 The fingerprint sensor remains on the front, while the camera bump remains its now more subtle on the Galaxy S7. The Galaxy S7 measures 142.4 x 69.9 x 7.9mm and weighs 152g so a little thicker and heavier than its predecessor. 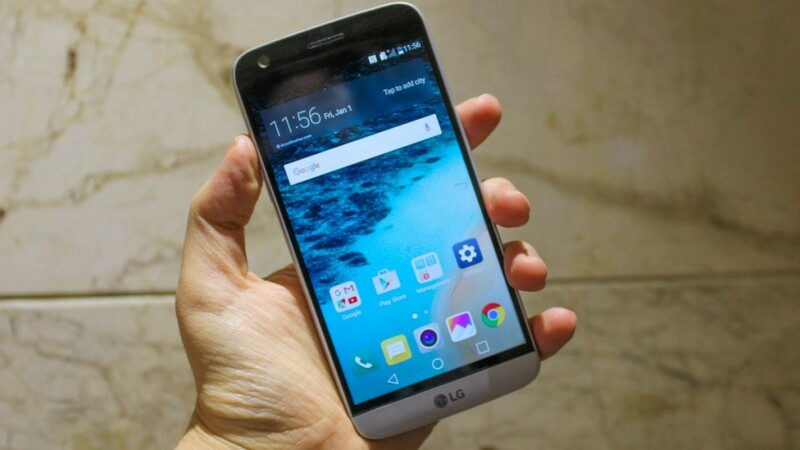 LG has done what Samsung did last year with the LG G5, the G5 saw a complete makeover in terms of it’s design language. It offers a full metal body with a fingerprint sensor on the back that doubles as the power button. Above the power button is a unique rear camera array, while the volume controls have moved to the side. The LG G5 measures 149.4 x 73.9 x 7.7mm and weighs 159g so it’s a little larger in overall footprint and heavier than the Galaxy S7 but just slightly slimmer. Both the phones have awesome designs but the LG G5 retains one of its key features, that is a removable battery. 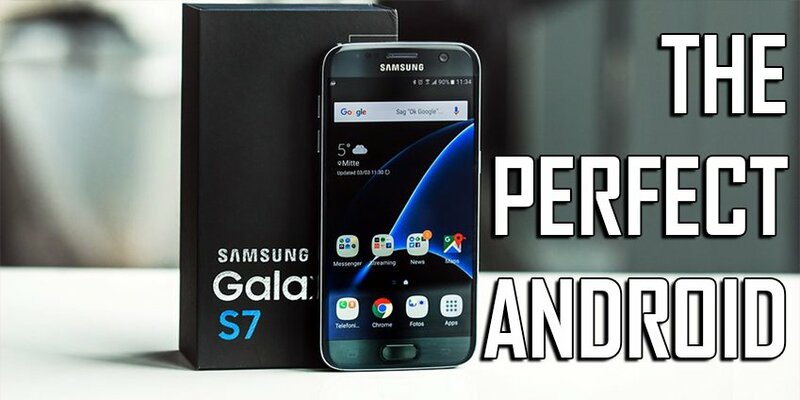 The Samsung Galaxy S7 features a 5.1-inch Super AMOLED display, while the LG G5 has a 5.3-inch IPS LCD display, both of them feature a QuadHD 2560 x 1440 resolution. 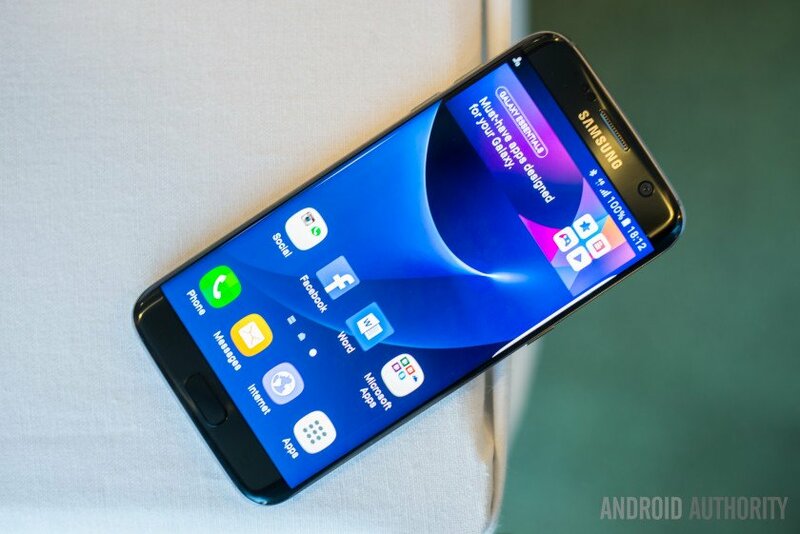 So meaning that Galaxy S7 offers a sharper display with higher pixel density. 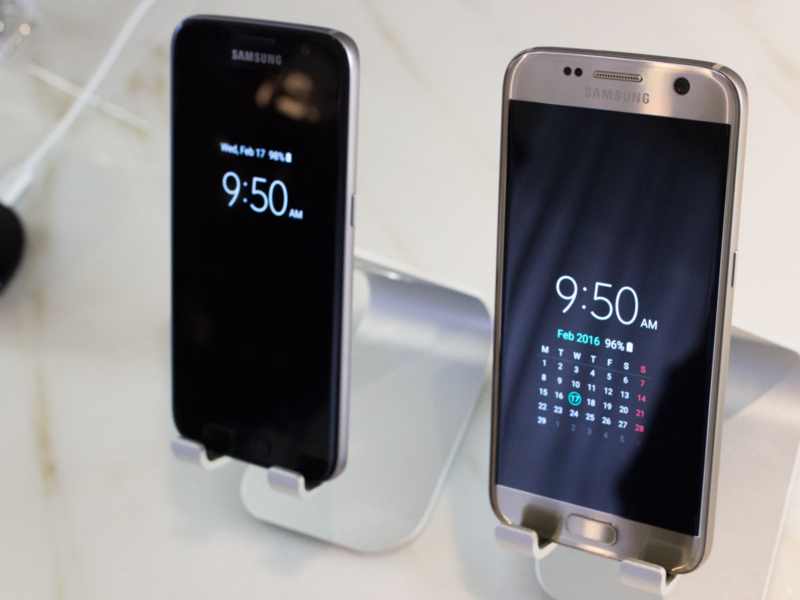 Both the phones have a feature that is called always-on display whereby information is still available on the main display without the user having to wake up the display. You’ll be able to see notifications or the time and such like without turning on the display and using less than one per cent of battery per hour on both devices. The camera department is where both the Samsung Galaxy S7 and the LG G5 are looking to shine. 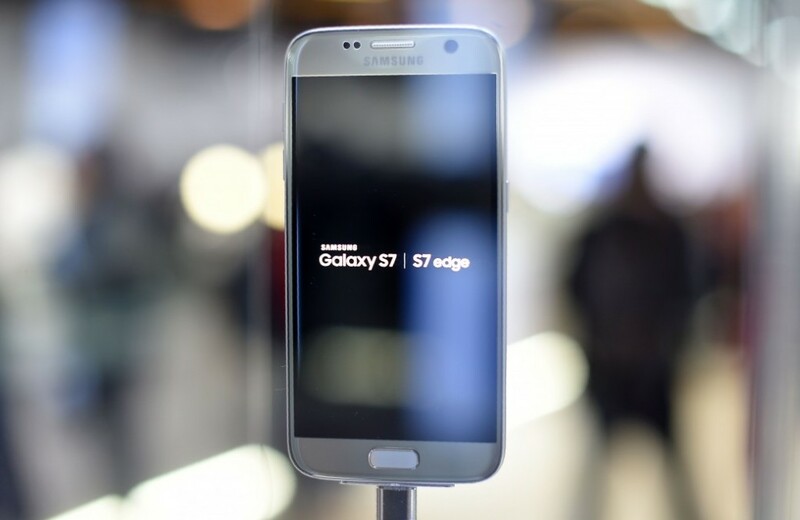 Samsung has used a 12-megapixel rear camera for the Galaxy S7 but with bigger pixels (1.4µm on the Galaxy S7 and S7 Edge compared to 1.12µm on the Galaxy S6) also coupled with a larger aperture of f/1.7. The new Dual Pixel technology is an evolution of Phase Detect auto focusing, and it makes the Galaxy S7 really fast in acquiring focus. The front camera is 5-megapixel and comes with standard functions and features. 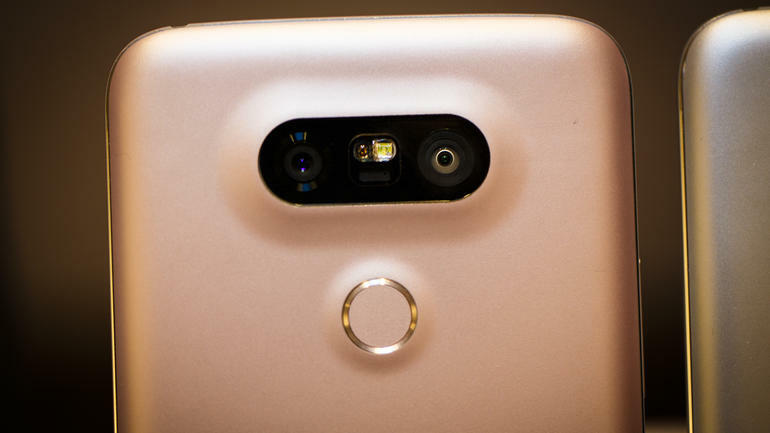 The LG G5 has a 16-megapixel rear camera, along with a secondary 8-megapixel 135-degree wide-angle sensor for a wider field of view that is said to be closer to a human eye than a regular camera. The rear camera offers both the regular as well as the wider shot with a dual camera setup. 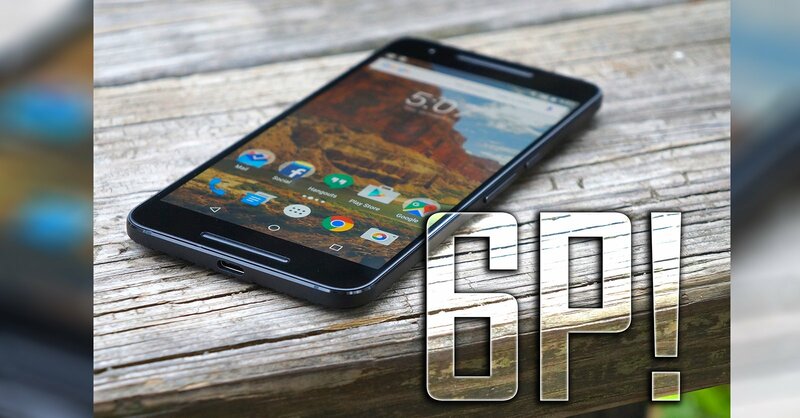 Both devices offer similar setup when it comes to the basic hardware, both the phones will be powered by octa-core Qualcomm Snapdragon 820 (Samsung will also have another variant powered by their own quad-core processor like always depending on the region). 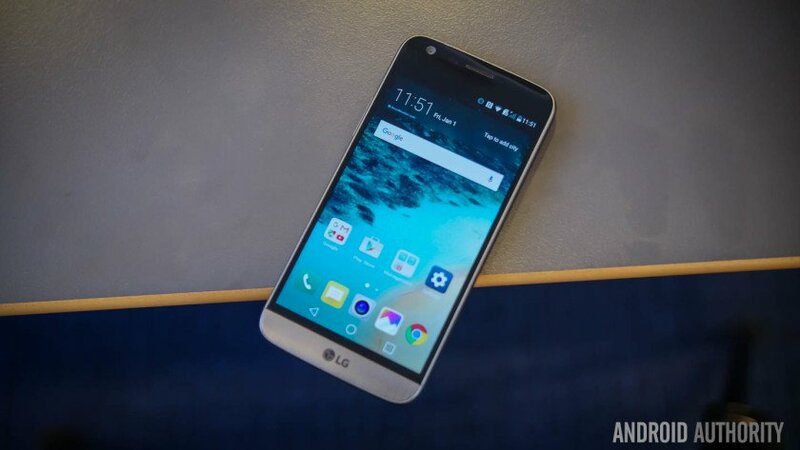 The LG G5 as well as the Samsung Galaxy S7 come with 4GB of RAM. While LG sticks to only 32GB onboard storage, Samsung has two variants with a capacity of 32GB and 64GB. 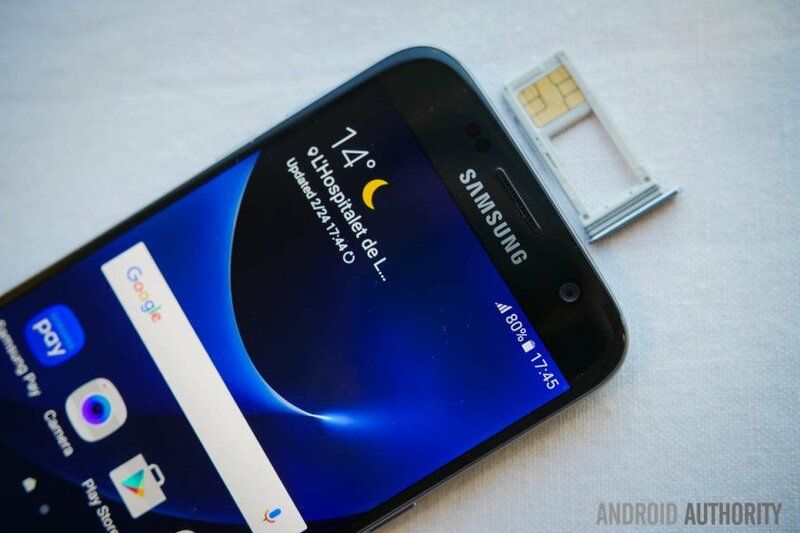 Both the phones offer a memory expansion via a microSD (Yes, Samsung has brought back the memory card slot). The Samsung Galaxy S7 comes with 3000mAh battery under the hood, while the LG G5 has a slightly smaller 2800mAh capacity. That said, the G5 has a removable battery thanks to a button on the side of the device that allows you to remove the bottom of the smartphone; while the battery in Galaxy S7 remains locked in. 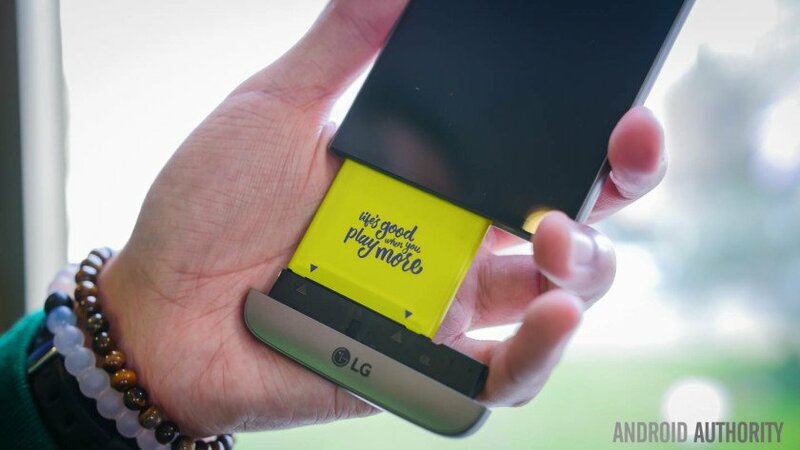 The button on the G5 is also where LG has managed to make itself a little more fun than the Galaxy S7, offering modules that it calls Friends, which can be attached to the bottom of the phone to offer more features. As of right now, there is a Cam Plus module for a more natural camera experience as well as a Hi-Fi Plus module for higher quality audio output. The Samsung Galaxy S7 and the LG G5 both run on Android Marshmallow out of the box. Samsung users will get a familiar experience with the addition of a couple of features such as the Games Launcher and Samsung Pay. LG users will also get a familiar experience but LG has played around with the software a little bit, the Qslide feature can’t be found anymore and also the app drawer is gone now (I know many of you out there like me will consider it a deal breaker) but they claim to have done it in order to simplify the user experience. Both the companies have great offerings to give. 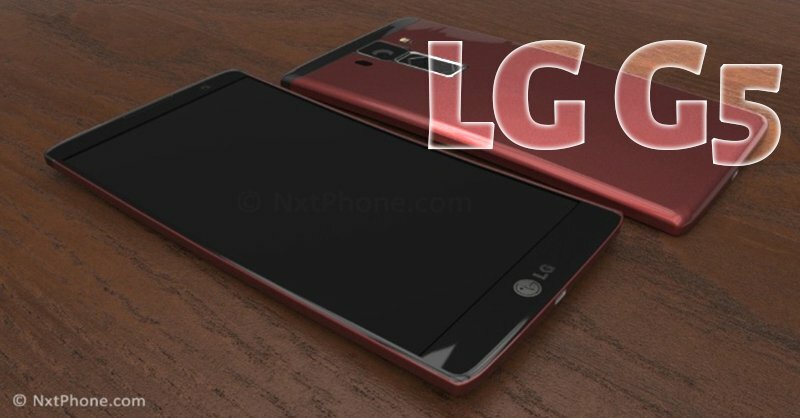 While Samsung sticks to the same concept and improve it like I say “If it’s not broken don’t change it.” LG has experimented and gone for a totally new look to have a completely different device in order to help the company re-establish their name in the industry. 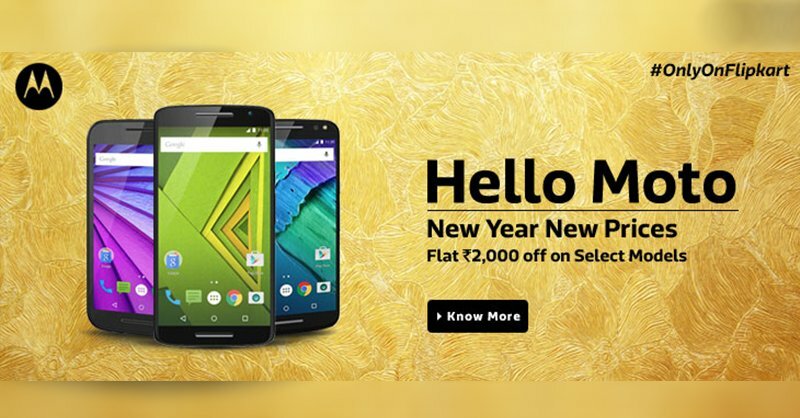 You can also Book this mobile at best flipkart offers from Flipkart.